To offer a sound foundation for the building is mandatory for every builder. In the absence of it, the building can be risky for the dwellers as well as neighbors. In some cases, the building is already in existence but the foundation has got weak, and in such situation, one needs to go for the underpinning. It is a process with the help of which the experts try to make the foundation stronger that can help the building stand still for more years. Usually, this process is done for the old buildings which have got the trouble with its foundation. The process is carried out by the expert contractors and civil engineers after a thorough study of various aspects of the building. The plan is first carried out on paper and sent for necessary approvals to the concerned authorities. Once it is approved, the precautionary measures such as evacuating the building, a collection of materials and instruments, etc. are taken, and then the process of underpinning is started. In this process, the old foundation is supported by new supports and stabilized it. It helps to lower the load on the old foundation. In case there is a problem with soil filling, it is also done with new soil or concrete as per the situation. Sometimes there is also additional support set in the foundation. As the works require much skill and there is also a lot of technicalities involved, all the responsible officers such as engineers, supervisors, and contractors need to be present while the process is going on. As all the possible situations are taken into account at the stage of planning only, they just need to monitor and confirm that the work is going on as per the plan only. There are some reasons why this process needs to be carried out. It can be some of the natural as well as man-made factors that lead to the requirement of underpinning. Here are mentioned a few of these factors. Natural reasons: In some cases, the water logging during monsoon and leakage of drainage for a long-term leads to the weakening of the foundation. Before these factors are controlled the damage is happened, and hence the Underpinning Melbourne is the only option to save the building from being collapsed. Use of structure: In some cases, the purpose of the use of the building is changed suppose from residential to industrial or commercial where it has to bear more load. In such case to meet the challenge of additional load the underpinning is carried out. Soil condition: The foundation of the building is on the soil only, and due to poor soil condition the removal of soil happens naturally. This becomes a threat to the foundation and hence underpinning is carried out. Beneficial to underpin rather have a new one: In some cases, the underpinning proves economical for the builder if the building foundation is to be changed. 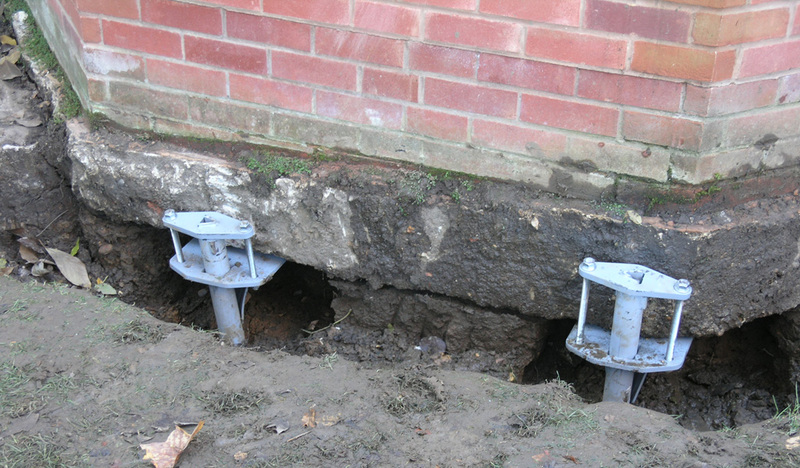 In such case, the underpinning can be beneficial than the new foundation as far as the cost of the same is concerned.